The new Leica V-LUX 20's expensive-looking, minimalist-styled metal body houses an impressive set of specifications, its 12x optical zoom being the biggest boast. The Leica DC-VARIO-ELMAR 4 1-49.2 MM F/3.3-4.9 wide-angle lens offers an equivalent of 25-300mm focal range, which makes it ideal for all situations, and it performs superbly across the range with no loss of quality at the super-telephoto end. The second headline feature of the V-LUX 20 is its built-in GPS facility, which works incredibly well, recording the exact geographic coordinates of where you took each photo in the Exif data, along with the local time (that it sets for you) at which you took the shot. It can show the name of the town, area and landmarks too – it covers 500,000 points of interest, in 73 different countries. Although the camera records with up to 12.1-megapixel resolution, it's actually equipped with a 14.5-megapixel CCD sensor, which affords three aspect ratios: 4:3, 3:2 or 16:9; all enable the lens set from 25mm to 300mm. 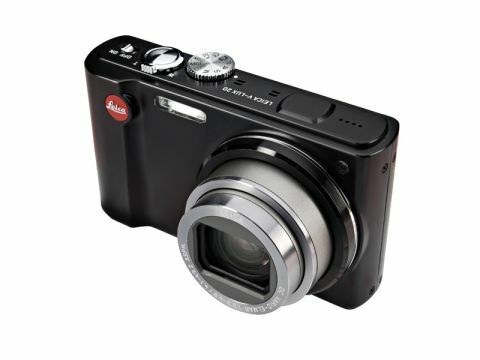 It has a 3-inch LCD display, which is bright and sharp, making composing shots easier. The camera offers a full set of manual controls and three different settings that enable you to customise the camera to your own preferences. There are, of course, fully automatic modes and a whole host of useful scene modes. Other features include face detection (up to 15 faces) and image stabilisation, which works very well indeed. Image quality is superb, noise is handled well, images are sharp and colours bright and punchy, but not over-saturated. A copy of Adobe Photoshop Elements 8 (worth £77) comes free with the Leica V LUX 20 too, so your editing experience will be top-notch. You can also record HD movies with the V-LUX 20. There's even a dedicated movie record button on the back of the camera. Movie quality is good and we like the way all the automatic features work with moving as well as still images.